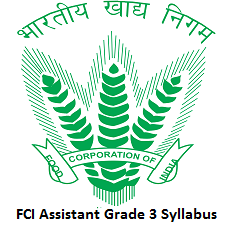 FCI Assistant Grade 3 Syllabus 2019 is available here on this page. 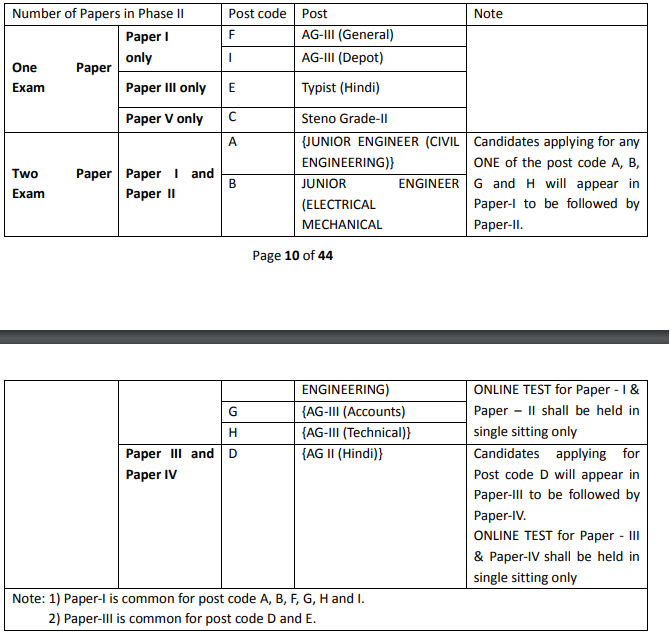 To crack this exam of aspirants needs to view the details of Food Corporation of India (FCI) Syllabus 2019 from this article of Junior Engineer (JE), Assistant Grade-II (AG-II), Steno Grade-II, Typist (Hindi) and Assistant Grade-III (General / Accounts / Technical / Depot) posts. From the below sections, applicants can also collect the information of www.fci.gov.in Exam Pattern 2019, and Food Corporation of India (FCI) Selection Process along with the FCI Assistant Grade 3 Syllabus 2019. The higher officials of the Food Corporation of India (FCI) will conduct the written examination for the various posts of FCI in the upcoming months. To know more details of the FCI Assistant Grade 3 Syllabus 2019, you can stay tuned to this web page. Also, check the FCI Assistant Grade 3 Syllabus 2019 PDF link to the download which was attached at the end of this page. Candidates who are interested to attend the exam, they need to check the details of FCI Exam Pattern 2019 for Junior Engineer (JE), Assistant Grade-II (AG-II), Steno Grade-II, Typist (Hindi) and Assistant Grade-III (General / Accounts / Technical / Depot) Vacancies. By this applicants can increase their solving and logical skills. In the Phase-I of the online test, the test will be an Objective type (Multiple Choice Questions). Each question will carry an equal 01 (one) mark. For each wrong answer, there will be a negative marking of one-fourth (1/4) of the mark assigned to that question. If a question is left blank, i.e. no answer is marked by the candidate; there will be no negative marking for that question. The marks obtained in Phase-I will not be reckoned in final merit ranking. The higher authorities of Food Corporation of India (FCI) had planned to conduct the Selection Process For Food Corporation of India (FCI) Vacancies 2019. Candidates can get FCI Assistant Grade 3 Syllabus 2019 from this article. For the comfort of applicants, we had attached the direct link of FCI Assistant Grade 3 Syllabus 2019 in PDf format for free of cost according to subject wise. Candidates can bookmark our site that is Sarkari Naukri for more updates on FCI Assistant Grade 3 Syllabus 2019.